This charismatic landscape is listed as a UNESCO World Heritage Site. 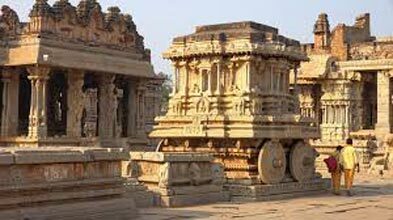 Located in Karnataka state, in a unique backdrop of boulder-strewn hills, more than 500 year old history rich monuments lie in Hampi valley. 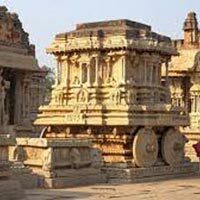 Hampi- popularly called the medieval capital of Vijaynagar Hindu Empire offers to tourists and pilgrims’ breathtaking royal pavilions, mesmerizing temples, the aquatic structure remains, palace basements, royal bastions and platforms, and more. Each monument beckons the Hindu culture enthusiasts with its mystical testaments to rich Indian history.